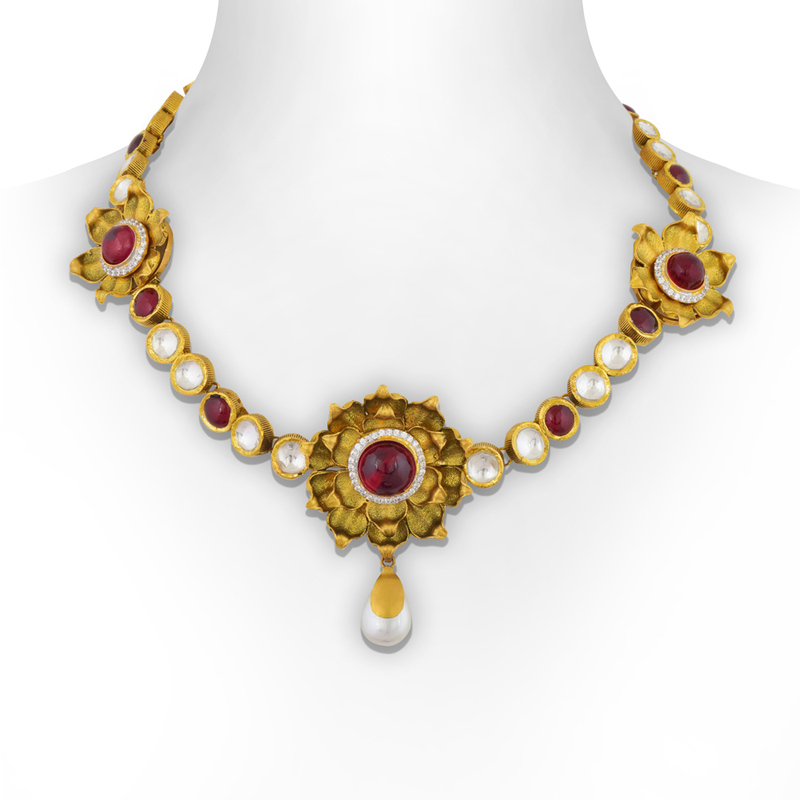 Discover the poshness of matt finish jewellery with the Matt Floret Kundan Necklace Set. Made of 22 KT gold, this kundan necklace flaunts an oxidised finish, a regal, floral design and an exquisite sophistication that looks best when clubbed with any traditional attire in your wardrobe. With this enticing necklace, make a standout addition to your jewellery collection.